Create a perfect canvas for foundation application with this silky, lightweight blend of vitamins A & E, grape seed extract and green tea. Worn alone or under foundation to increase its longevity, this best-selling Smashbox primer helps to reduce the appearance of fine lines and pores for flawless skin with a velvety-smooth finish. In a new square airless pump for freshness to the last drop. This is honestly the best primer I've ever come across. It leaves you with the most silky feeling skin. If I'm ever applying my make up around friends and family I always give them some to try because I am always so amazed by how smooth and silky my hands and face feel after I apply this product. I am a makeup artist and I always have this in my makeup kit. It makes all skins look flawless and keeps foundation on for longer. It also does not cause"flashback" which is so important for photoshoots and brides. Please never discontinue this! Amazing product. So lightweight and doesn't clog my pores or lead to breakouts! Love this Primer! It is so lightweight and does not feel like you are wearing anything on your skin. It helps to protect the skin and create a smooth canvas in order to help your makeup have a flawless, airbrushed finish. The only downside is that it's pricey. But I definitely think that the high quality and effectiveness justify the price. I love this primer!!!! It feels amazing on skin, it's so soft and smooth! I've never felt such a smooth feeling primer, it's such a pleasure to rub on! And i work it today under my clinique repairwear laser focus foundation that normally gives me issues but today went very well with this smashbox and my skin still looks flawless and it's 17:25 now lol. Big yay from me! 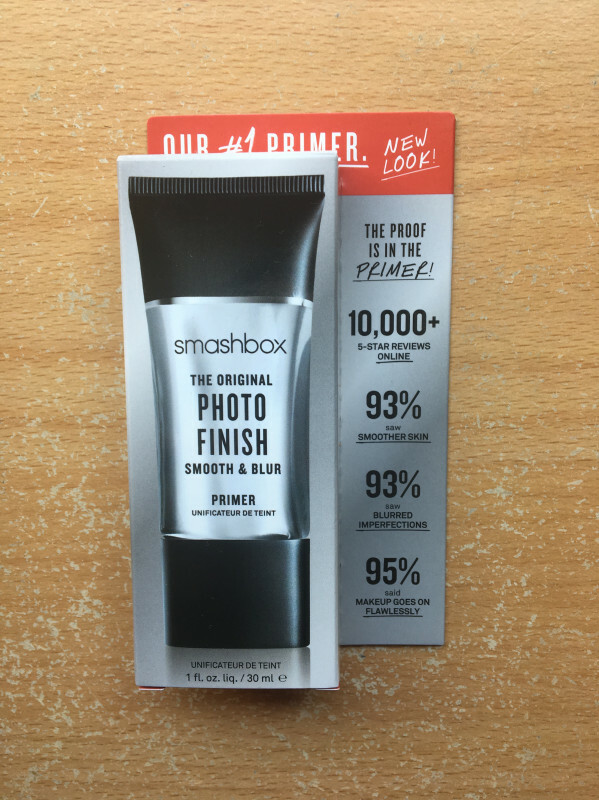 I was so excited when I got the call that I was chosen to test and review the Smashbox Photo Finish Primer - Thanks once again Beauty Bulletin. Even MORE excited when I got my package. Hell yeah... couldn't wait to test it! At the age of 38, I think I'm quite blessed with good even toned skin, although I do struggle with pigmentation, fine lines (let's not call it wrinkles, I'm too young for that yet) and slight redness around my nose which mostly occurs during Winter season. My foundation always looks cakey on my nose and cheeks, so finding a good one has always been a nightmare....well that's what I thought! I suppose all I needed all this time was a decent primer, but what did I know about primers? So this is how I went about it - cleansed, exfoliated, moisturised and then I gently applied the Smashbox primer. I was waiting in anticipation for whatever was suppose to happen next. OH MY WORD, never in a million years did I expect this miracle tube to feel this way. LOVE AT FIRST SIGHT! 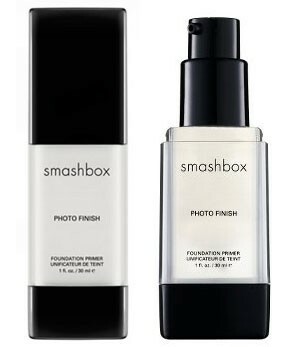 Smashbox primer applies to the skin like a dream, glides on smoothly and disappears into the skin with no residue left behind. I absolutely love the matt finish. To be honest, I didn't even want to apply make-up afterwards. I waited another 2 minutes for it to settle and then applied my foundation with no fuss or cakeyness at all! The big test for me was to see how long it would be until my forehead looks like it was licked by a cow! By the evening I've already forgotten about it and eventually when it was time to remove my make-up I realised that everything still looked fresh. I had no "laughing wrinkles" around my mouth, as I call it, which was a huge plus point for me and my face had ZERO shine and that's really impressive! Smashbox primer has a very nice consistency, almost like silicone that seals your skin. It leaves my skin smooth and the finish with my foundation is FLAWLESS! I would recommend this primer to EVERYONE! If reviewing the primer was so easy and fun, I'm really curious the use the rest of their products. The proof is definitely in the pudding! I was so excited (and honoured) to be chosen as one of the few reviewers for the SMASHBOX review club! SMASHBOX is a much sought after brand that brings high quality, on-trend products that keep you longing for more! 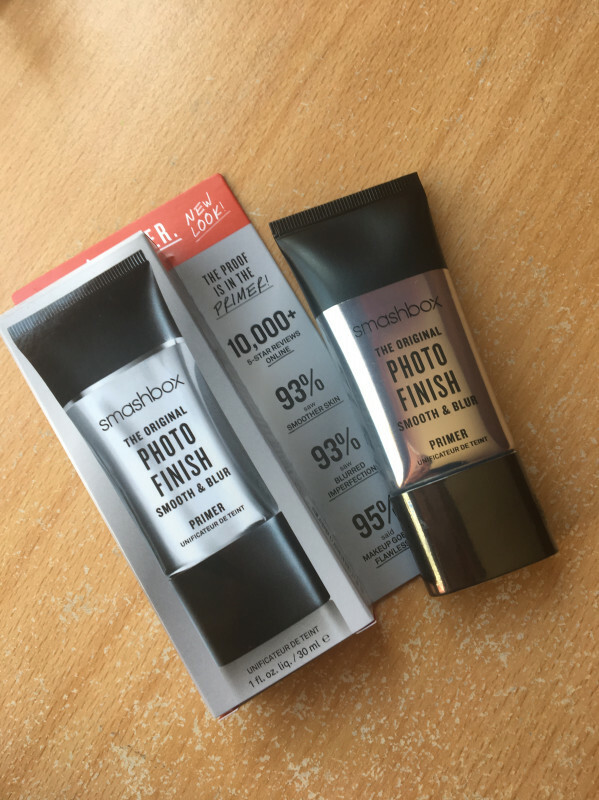 I received the photo-finish foundation primer. I use foundation to cover my red blotchy skin which tends to be oily in some places while really dry in other places. Often, when wearing foundation – my forehead becomes crumby and flaky while my nose can become overly shiny. In short, I don’t feel all that glamorous! After applying moisturizer, I apply a small amount of the primer all over my face, focusing on the areas that I experience shininess and crumbed foundation. The texture of the primer is smooth and light, leaving my face feeling silky smooth! It is quite incredible how good my skin feels after applying the primer. Already, I notice how there is no shininess and no residue. After 2 weeks, I started to notice the reduction of red blotchiness around my face and how the dark circles around my eyes were lightening. It wasn’t a drastic change, but a definite improvement. I also noticed how my foundation, which would usually fade and flake by 12pm, suddenly lasted until 6-7pm, when I washed it off. This was great, considering I haven’t had to invest in a fancier, more expensive brand of foundation. I didn’t even need to partner it up with a SMASHBOX foundation!!! I decided to play with the primer, and used it on my eyelids. It made the colours more vibrant, there was less fall out AND it lasted all through the day – FANTASTIC! I believe that the price is a definitely worth it, as you use SO little and it makes any foundation look classy and like you took out a second mortgage on the house to afford it! It removes oil and helps improve the natural appearance of your skintone, leaves you looking flawless and gives any girl that confidence that they deserve! I've bought this particular primer recurrently since 2010! I deviate to try other brands at a lower cost and seem to return to this one!apart from it containing a blend of vitamins A & E, grape seed extract and green tea it's silky lightweight and holds makeup in place! I love using it when i go out and returning home to find that except for my lipstick my makeup hasn't budged! It still looks fresh n neatly applied! With the new range of primers that's been launched at smashbox looks like my woolworths card is gonna be busy! It's hard at smashbox to buy just one item when their makeup range is just that amazing! Just bit on the pricey side! But there's always my birthday wish list to look forward to! I was really amazed when my cousin used it to do my makeup for my wedding 3 years ago. but when I returned to the hotel that evening and looked in the mirror, My make-up was still perfect and I still looked like a blushing bride. I never felt suffocated in my foundation which was also from Smash Box..it was light,smooth, and looking back I still have to most amazing photo's of my special day. sjoe, this for me is the best on the market!! I keep on going bact to this product, and i have used so many primers. I Love the feel, silicone based, soft and smooth on your/my skin! It gives your skin LONG LASTING effect when foundation has been applied, no caking, no streaks!! MY Favourite ever!!! Price is worth the product, and a tiny bit goes a long way! A MUST HAVE!!! I was given a sample sachet of this primer and I was quite excited to use it as I've heard some really fantastic things about it and it's won many awards. This is a completely clear, very thin gel with a slight scent. - I find that I use a lot less primer with the CS one. A little goes a long way. - The Smashbox one didn't sink in as nicely. I found myself needing more to get that silky feel. - It has a slight off-putting scent. Ok, but putting all that aside let me tell you what I did like about this primer. It has some fabulous ingredients like Grape Seed Extract and Retinyl Palmitate which is a form of Vitamin A and used as an antioxidant. After it it set on my skin, my skin did feel very soft and I did notice my foundation applied a little bit easier. My skin also felt a bit more moisturised. My makeup lasted the whole day without separating or changing color. But at the end of the day I have to honest and say It isn't worth the R320. I was left a bit disappointed. After reading most of the reviews on this primer I was kind of expecting my skin to look almost airbrushed. But all it really did was make my foundation stay put for longer. It is great , texture is luxury in a bottle and glides on to your skin! Your base will neva look better . My make up stayed put . A little goes a long way, and I tend to use less base. Leave your skin smooth and silky, now I have a look just like the super models. Best foundation primer I have EVER used! Two years ago I bought the smashbox starter kit from Woolies and this primer was one of the items in the kit. I didn't use primer at the time and was a little hesitant of it as other ones I had tried in the past didn't make a difference to my foundation and most times made it fade faster not to mention they would make my face a little shiny. After using it, I immediately went out and bought a large bottle from Woolies for everyday use. The great thing about it is after a day at work I don't need to reapply foundation when I got out in the evening - I just add on more blush and some make my eyes darker. Before I would need to redo the foundation and the whole face. This product is an absolute MUST in my make-up bag. It leaves my skin feeling fresh and silky smooth. A little drop goes a very long way and is definately worth the price tag. I would highly recommend it to anyone.